Rising consumer demand for Good Food — food produced as locally as possible, using sustainable, humane and fair practices — has a momentum of its own. But many advances made by farmers in the sustainable sector have been abetted by federal government programs implemented through the U.S. Department of Agriculture. A new farm bill, which will set federal agriculture policy for five years, is on course to be enacted as early as next year. Sustainable farmers and Good Food advocates would have been on guard to protect these programs under any circumstances. But with the unpredictable and volatile political environment currently in Washington, D.C., supporters of these programs will need to be especially engaged. Logo of the National Sustainable Agriculture Coalition. The National Sustainable Agriculture Coalition (NSAC) has been the leading federal policy advocate for sustainable farming and the Good Food movement for 30 years. Wes King, an NSAC policy specialist (and former executive director of the Illinois Stewardship Alliance) explains the political landscape for the 2018 farm bill and what advocates need to do to prepare. Wes will carry these messages to FamilyFarmed’s Good Food Trade Show & Policy Conference on Friday, March 17, where he will participate on two panels: New President, New Congress — The Future of Federal Food and Farm Policy, and Strengthening Alliances for Better Food Policy. 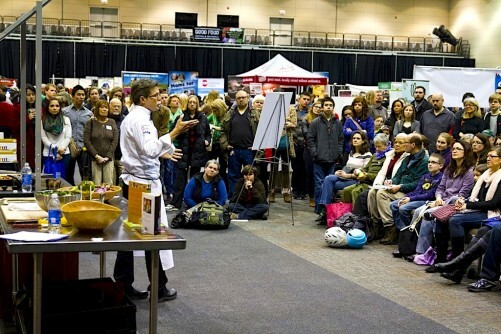 To learn more about FamilyFarmed’s three-day Good Food Festival & Conference, or to buy tickets, please visit the event’s website by clicking here. Uncertainty and risk go with the territory for farmers and ranchers. Even the most skillful can only control so much when it comes to factors such as the weather, pests, disease, soil quality and market behaviors. And now, with winds of political change swirling in Washington, D.C., we need to add another level of unpredictability to farm producers’ never-ending game of chance: Policymakers who are threatening to undermine, undo and/or defund programs that are important to what has been a rising and thriving sustainable agriculture sector. With the appropriations (i.e. government funding) process happening now, and debates around the 2018 farm bill already beginning in earnest, it is more important than ever for farmers, ranchers and the sustainable agriculture communities to stay active and engaged in the policy process. 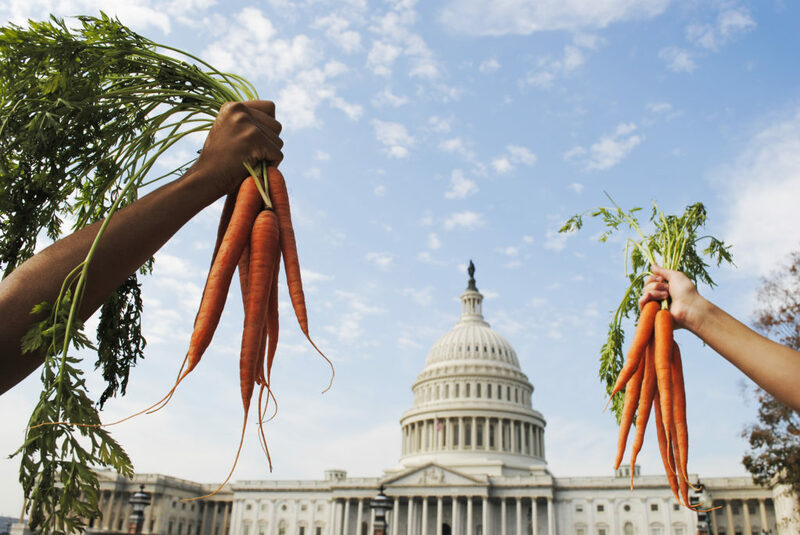 The National Sustainable Agriculture Coalition (NSAC), for which I work as a policy specialist, is the voice for the Good Food movement in federal policymaking. For the past 30 years, NSAC has been at the forefront as Congress has shaped each five-year farm bill. In each farm bill process since our formation, NSAC has advocated, developed and implemented programs and policies that advance the sustainability of agriculture, local and regional food systems, direct market opportunities for producers, natural resources and rural communities. With a new Administration and Congress in D.C., this farm bill process is more important than ever. It will set the tone for how the nation’s capital engages with agriculture and rural America for many years to come – perhaps even beyond the typical five-year life of the farm bill. We in the sustainable food and farm movement must use this time to reaffirm our commitments to agriculture that is good for farmers, good for the public, and good for the environment. In order to help our communities get educated and activated about the farm bill and policy process, NSAC has developed this short farm bill primer. For more policy and grass-roots resources, and to keep up with important news developments, check out our website. The farm bill is our nation’s most substantial, complex and arguably most important piece of food and farm legislation. The bill is actually not a single policy, but many policy decisions rolled into one. This omnibus package of federal legislation represents billions of dollars in government expenditures, and has an enormous influence on what our nation’s farms produce — and how they produce it. The farm bill covers all programs and policies under the jurisdiction of the House Agriculture Committee and the Senate Agriculture, Nutrition and Forestry Committee, including but not limited to: conservation assistance; commodity subsidy and crop insurance; agricultural research; rural development; local and regional food system development; and the Supplemental Nutrition Assistance Program (SNAP), which replaced the previous food stamp program. The farm bill sets the nation’s farm, food and rural policy goals and priorities for five years at a time, though the debate process can potentially cause delay. This occurred the last time the bill was considered; initially scheduled to expire in 2012, the farm bill had to be extended until Congress finally reached agreement in 2014. Our current farm bill expires at the end of September 2018. The process of developing the next has already begun, and both grass-roots advocates and federal decision-makers are beginning to assess and test-market potential policy proposals with their bases. The Senate Agriculture Committee held its first field hearing in Kansas in February — led by Chairman Pat Roberts, a Kansas Republican, and Ranking Democrat Debbie Stabenow of Michigan — to get constituent input about the goals and direction of the 2018 bill. More field hearing announcements are expected soon from both Senate and House members; Stabenow has already promised to schedule one in her home state. 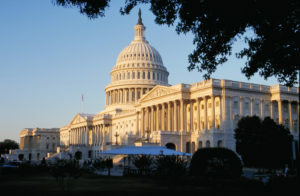 The House Agriculture Committee has begun its farm bill process by launching a series of issue-focused subcommittee hearings under the title “The Next Farm Bill.” The first two hearings, held at the end of February, focused on conservation and farm credit programs, and livestock and foreign agriculture respectively. The next hearings in this series will be on Thursday, March 9 at 1300 Longworth House Office Building, and they will focus on rural development and energy programs (at 10:00 a.m.) and specialty crops (2:00 p.m.). Recently, a bipartisan cadre of Agriculture Committee leaders joined farm and food advocacy groups in calling for no budget cuts (and in some cases budget increases) to priority programs in the next farm bill. While this show of solidarity from congressional leadership is encouraging, the forecast is that program cuts are far more likely than budget increases under the current Administration. One area likely to be strongly defended against cuts, and possibly even be targeted for increased funding, will be the the farm safety net, meaning commodity subsidies and crop insurance. The farm economy has been in downturn for the past several years, plagued by oversupply, rock-bottom commodity prices, labor shortages and tightening export markets. The term “Good Food movement” means many things to many people. Most commonly, it is associated with the grass-roots campaign to build more robust local/regional food systems and connect consumers more directly with their food and food producers. Over the past decade, what once was a fledgling movement has grown into a mature marketplace. 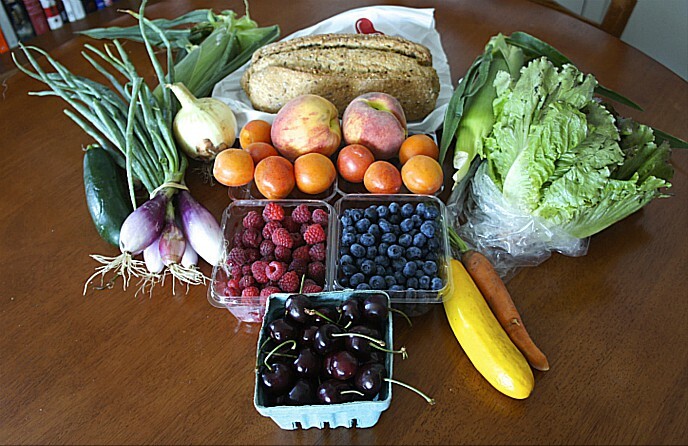 Hundreds of thousands of U.S. farms produce and sell food locally through food hubs and other intermediaries; direct farmer to consumer marketing (such as farmers markets and Community Supported Agriculture); or direct farm to retail each year. In 2015, according to the U.S. Department of Agriculture (USDA) and its Local Food Marketing Practice Survey, these sales resulted in $8.7 billion in revenue for local producers across the country. Looking just at direct to consumer sales, the survey shows that the direct-to-consumer market grew by $1.7 billion (a total of $3 billion in revenue) from 2012 to 2015. The data clearly show that direct-market agriculture is here to stay, and that the significance of this sector to the agricultural economy can no longer be denied. This growth, however, did not happen in a vacuum. In large part, the local/regional and direct market economies were able to expand so significantly thanks to USDA and NSAC’s development and promotion of programs including: the Value Added Producer Grant program, Farmers Market and Local Food Promotion programs, Local and Regional Food Enterprise Guaranteed Loans, Farm to School grant program, and the Beginning Farmer and Rancher Development Program. During the 2014 farm bill process, NSAC worked very closely with organic and local food champions in Congress – particularly Democrats Senator Sherrod Brown of Ohio and Representative Chellie Pingree of Maine – to build support for a comprehensive “marker bill” that sought to catalyze growth within the sector and build a better food system. This marker bill became the Local Farms, Food and Jobs Act, which was instrumental in ushering in historic investments in local and regional food systems. In all, the 2014 farm bill invested $501 million over five years directly into the development of local food systems, rural communities, organic agriculture, and healthy food access. The 2014 investment represented a nearly 50 percent increase over the previous farm bill’s allocation. In the 2018 farm bill cycle, NSAC will once again be working with Brown and Pingree on marker bill legislation to support continued growth in the local, regional and sustainable food sectors. NSAC, Good Food and farm advocacy groups, working with our champion supporters in Congress, are going to need all the support we can get in the coming years if we hope to protect the programs and policies that matter to our constituencies. If we want to see policies that support the next generation of farmers and ranchers, invest in rural economic development, foster cleaner air and water, and increase access to healthy food for everyone, all of us will need to be actively engaged in the policy process. The best way to do this is through robust and direct grass-roots action. The first step is to learn more, which you can do via NSAC’s website and blog — specifically through our “Path to the 2018 Farm Bill” series, in which we will break the bill down and explain the relevant policy discussions title by title. You can also stay up to date with the latest food and farm policy news by signing up for NSAC’s newsletter and action alerts. The next step is to make sure you know who your legislators are, and how best to be an active grass-roots advocate. To learn more, check out our blog: “How Sustainable Agriculture Advocates Can Take Action in 2017”. This entry was posted in Chef activism, Chef advocacy, Direct Farm Marketing, Family Farms, Farm Bill, Farm businesses, Farm to school movement, Farmers markets, Federal farm subsidies, Food activism, Food policy, Good Food and economic development, Good Food Festivals, Good Food Policymaking, Local Food, Regional food systems, USDA and tagged Beginning Farmer and Rancher Development Program, FamilyFarmed, Farm to School Grant Program, Farmers Market Promotion Program, Federal farm bill, Good Food Festival & Conference, Good Food Trade Show & Policy Conference, Illinois Stewardship Alliance, Local and Regional Food Enterprise Guaranteed Loans, Local Food Marketing Practice Survey, Local Food Promotion Program, National Sustainable Agriculture Coalition, NSAC, U.S. Department of Agriculture, Value Added Producer Grants, Wes King. Bookmark the permalink.